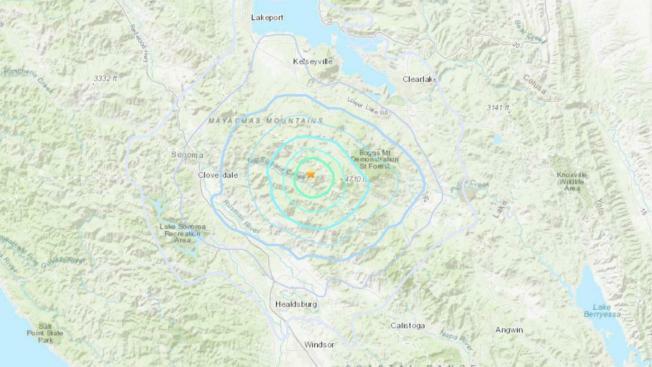 An earthquake struck north of Healdsburg early Monday morning, according to the United States Geological Survey. The temblor rattled at 4:54 a.m., the USGS reported. The epicenter was located 13.5 miles southwest of the city of Clearlake and 14.6 miles north-northeast of Healdsburg. The USGS initially classified the quake as a magnitude 4.2 before downgrading it.